Finding a sugar daddy takes some finesse, but it’s not hard to do if you know how. You see a guy who you think would make a great potential sugar daddy, but how do you know that he wants to date sugar babies? Here are some ways to tell. Scoping out potential sugar daddies who want to date sugar babies can be tricky if it’s not on a sugar baby dating site, because you have to do some sleuthing to find out if he’s looking for a sugar baby. We offer some things to look for in a man if you’re thinking that he could make a good sugar daddy for you, but you still to need to decipher where he stands on the sugar baby dating scale. If he does these certain things, then he might just be looking for a sugar baby like you! He also may be doing these things without consciously knowing that he wants a sugar baby, so it’s up to you to broach the topic. If he does any of the following things, then you can rest assured that he’s more than likely down for having a sugar baby of his very own. But when in doubt, ask him about it. It’s not a taboo subject! Keep in mind that these are just some possible potential sugar daddy behaviours that you might see, but the most important things is to go with your gut. When you meet a potential sugar daddy, you’ll get a sense pretty quickly whether or not he wants to date sugar babies just by your interaction with him. If you get the feeling that he isn’t interested, then you’re probably right! Don’t waste any time with a guy who doesn’t seem gung-ho about dating sugar babies – you want to spend you time on the guys who really want to meet and date sugar babies like you! One sure-fire way to tell if a guy wants to date sugar babies is if you see him frequently with younger women. On your hunt for a sugar daddy, you’ll be visiting the places that they go, so you’ll start to notice some regular sugar daddy patrons at these spots. If you see someone who visits the place a lot, and he’s almost always accompanied by hot, younger women, then chances are he’s already looking to date sugar babies, if he isn’t dating one already. Single men who aren’t interested in meeting younger women who are potential sugar babies tend to spend their leisure time elsewhere – i.e. places that aren’t filled with young hotties – so if a guy is where you are, he probably wants to date sugar babies. Make introductions to the potential sugar daddy men in these places and let it be known that you’re a sugar baby seeking a sugar daddy – make your life easier by getting the word out there. Men who are visiting known sugar baby hunting grounds like hotel bars or upscale restaurants are usually in the sugar baby dating game, or they want to get into it and date sugar babies. Keep an eye out for the ones who come often with the same, or different, young women. If his arm candy changes during each visit, then it’s clear he’s in the market to date sugar babies, and is always looking for a new one! 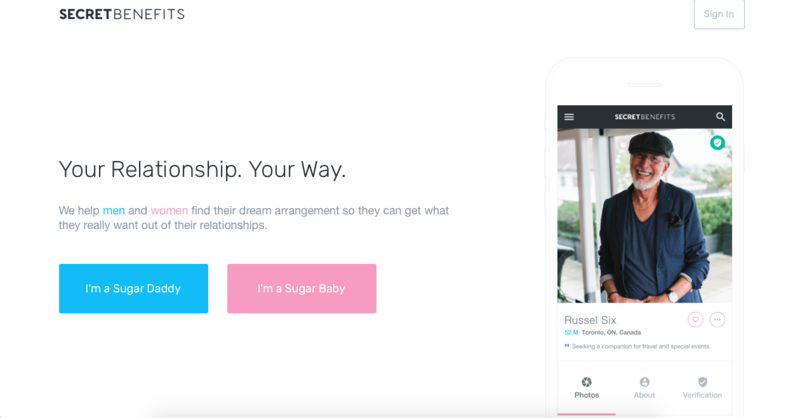 It can’t get much clearer than right here – if a guy is a paying member on a sugar baby dating site, you know that he wants to date sugar babies. A sugar baby dating site is probably the best place for you to look for potential sugar daddies, because you already know that he wants to date sugar babies, and is ready to do it! Going straight to an online dating environment can save you a lot of time and awkward conversation in trying to find out if a potential sugar daddy wants to date sugar babies or not. Not every rich guy is into sharing his wealth as generously as others, so it’s important to find out who you’re talking to. Sugar baby dating sites are the easiest and most convenient place that you could possibly go to meet sugar daddies. Men have to pay to be members of most sugar baby dating sites, so you can be sure that if they’re willing to invest in the journey of finding sugar babies to date, then he’s going to be more than happy to dole out the cash to date sugar babies that he connects with. 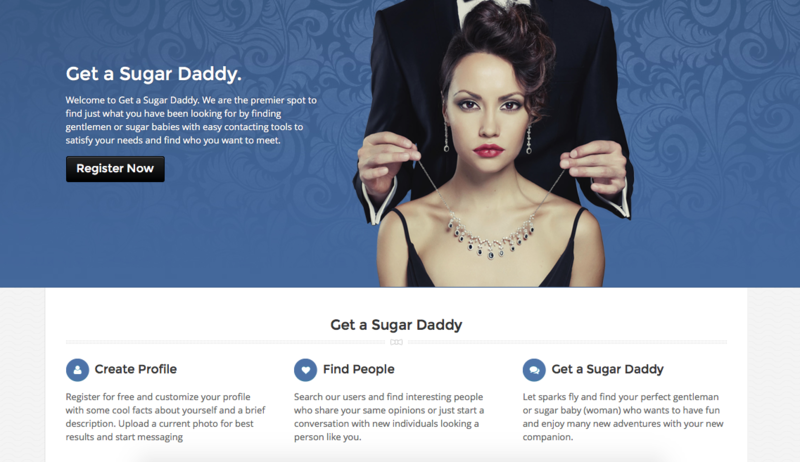 The sites are free for you as a sugar baby, but they rarely are for sugar daddies, so if they’re using these sites, they seriously want to date sugar babies. Sugar baby dating sites do a lot of the work for you as well, which makes them even more convenient for you to use to find a sugar daddy who wants to date sugar babies. 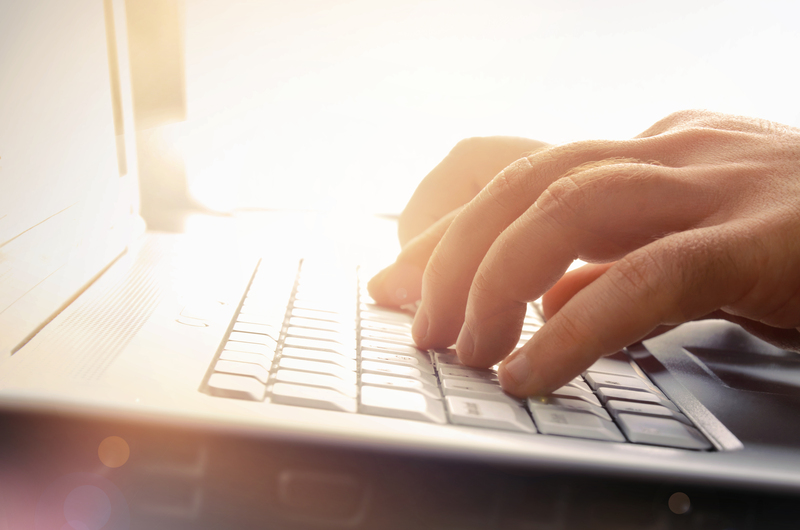 The better ones vet and verify their members, so the guesswork is all done for you once you get to their profile. The site will certify his identity, as well as his income amount, so if a sugar daddy’s profile has a certified millionaire tag on it, you know it’s legit! If a millionaire is on a sugar baby dating site and wants to date sugar babies, get in touch with him ASAP to become his sugar baby! If a wealthy guy spends his money like he has no concern in the world about where it’s going, he’s probably looking to date sugar babies. Guys like this have more money than they know what to do with, and they’re actively looking for a young woman to share it with. Spot this guy before anyone else does and get yourself in place to be his sugar baby! This guy is going to be more than willing to buy you whatever you want, pay for your vacations, cover the cost of your schooling (if you’re a student), and buy you a car. There is no limit to what you can get with a guy like this who wants to date sugar babies. A man who flaunts his money in public places, where he knows he’s going to be seen spending extravagantly, is a good bet that he’s looking to date sugar babies, and become a certified sugar daddy himself. He wants to show off what he has, and he wants that to include a beautiful young woman on his arm, so take note of the men who flaunt their wealth, because they most definitely want to date sugar babies. Why else would they flash their cash in a room full of aspiring sugar babies? Because they know it’ll attract them! Look at his clothes and check out his car too if you can. Make sure he’s a legit sugar daddy who has the means to support the sugar babies he wants to date. If he’s flashing cash but pulled up in an Oldsmobile, he’s looking more like a Splenda daddy than a sugar daddy. You want to focus on potential sugar daddies who have a driver, or pulled up in a luxury vehicle of some kind. If they have those, plus the cash to flash, they can date sugar babies – and most likely want to! Get to know these men as much as possible, and chances are you’ll become their next sugar baby. A guy who takes a lot of business trips or travels for work is probably looking to date a sugar baby so that he can have some company. It’s an easy way for a sugar daddy to provide some great travel experiences to a sugar baby, and get himself some company on those otherwise lonely hotel stays. It’s a more subtle way of telling, because you’d have to know the sugar daddy crowd in your area a little bit, but word of mouth travels and is a great way to stay informed on sugar daddy dealings. When a sugar daddy wants to date sugar babies, he gives hints without straight-up asking sometimes. One initial invitation can lead to a very successful sugar daddy sugar baby dating relationship, so if you get invited on a business trip, say yes! Think of the possibilities! You won’t be required or expected to have anything to do with his work dealings, so you’re free to enjoy the location and amenities, while he gives you money to buy whatever you want! Once he’s done his meetings for the day he can join you and make your sugar daddy vacation that much better! Sugar daddies look to date a sugar baby in these scenarios more than a lot of others because they get bored and lonely being away on their own. Ask around if you don’t know who might want to date sugar babies to bring with him on business trips and such. Other sugar daddies and sugar babies will know who to seek out, and who’s looking to date sugar babies for other reasons. Whatever it is that you’re looking for, don’t ignore a potential sugar daddy because he asks you for one thing. That one request could lead into the sugar baby dating scenario of your dreams, so go with the flow and take the sugar daddy offers as they come. Worst case scenario you get to go on one hell of a vacation, even if you don’t get a permanent sugar daddy! 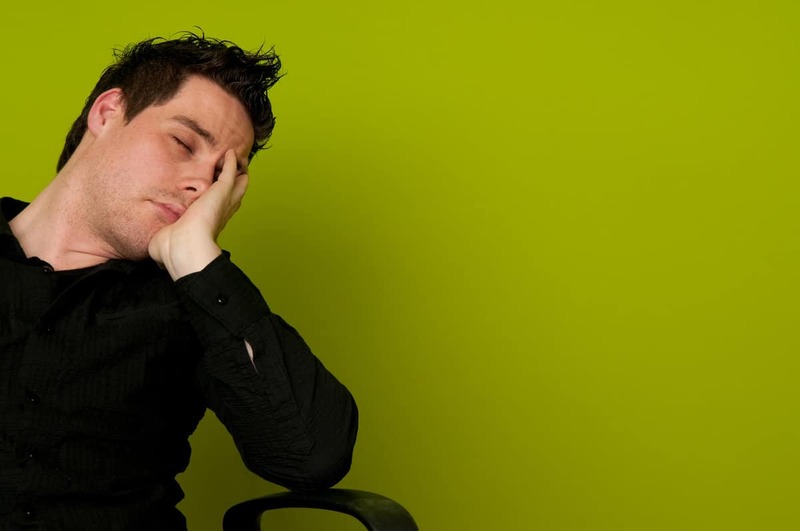 There are some telltale signs when a man is bored with his life, and they can vary depending where his boredom comes from. Maybe he’s bored with his marriage – which would be evident if you see him frequently in areas where sugar daddies and sugar babies are. If he’s alone but has a wedding ring on, and seems to be scoping the ladies, then he’s probably looking to date sugar babies and spice things up. Sugar daddies are not always single men, and that’s a reality that you’ll have to come to terms with if you want to broaden your sugar daddy horizons. Bored married men make the best sugar daddies because you know that they won’t want anything serious aside from your sugar relationship, and you reap all of the benefits! A man might also be bored with his job, which would be harder to decipher for you, but you know what boredom and unhappiness looks like. 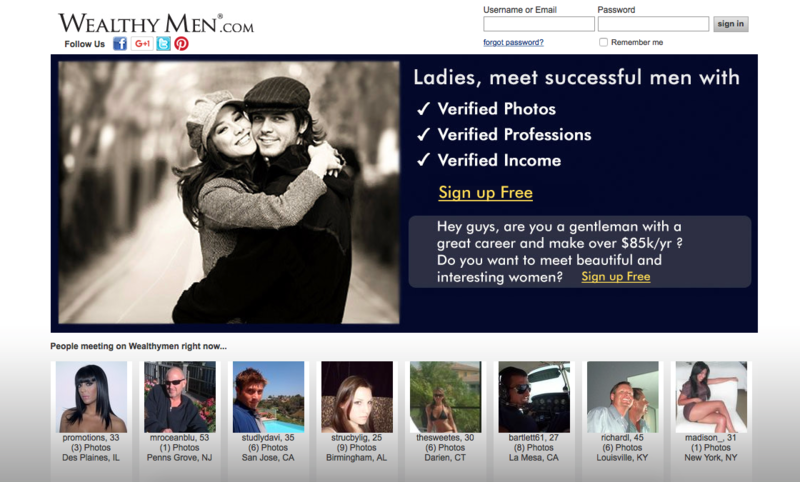 If you see a guy who seems to be in a rut, approach him and find out if he’d be game to date sugar babies. Convince him that it’d be just what he needs to perk up and make things exciting again. Remind him when he dates sugar babies, he never has to go on a business trip alone ever again! This might be enough reason for him to agree right then and there! Chances are that the majority of men who visit places where there are lots of sugar babies are looking to date sugar babies, which is the reason they chose that location to begin with. Don’t be afraid to get to know some of these men. They just might want to make you their sugar baby. A bored sugar daddy can be a great one because this is a guy who’s actively seeking adventure when he looks to date sugar babies. This means that you can get in on that adventure, and make some suggestions that you both benefit from! For instance, if he’s looking for a change of scenery, and you’ve always wanted to go to Thailand – he can make it happen! Suggest that you two take that trip together, and experience travel in style and luxury that you would never have been able to see had you not met a man who was looking to date sugar babies. This is just one of many potential scenarios that you could find yourself by looking for a bored sugar daddy. There’s absolutely zero guesswork required in this situation. When a sugar daddy tells you he wants to date sugar babies, you know he’s serious! He’s telling you this because he thinks you’d make a good one, or he wants to get to know and see how you might be as a sugar baby. The best situation you can find yourself in as an aspiring sugar baby is to be talking to a sugar daddy who flat-out states that he wants to date sugar babies. It literally cannot get any easier in searching for a sugar daddy. Once a sugar daddy tells you that he wants to date sugar babies, the ball is in your court! Tell him that you’re into him, and you want to be his sugar baby – simple! Men who want to date sugar babies aren’t generally shy or quiet about their desire, so once the topic comes up in conversation, he’s going to tell you where he stands on it. If he wants to date sugar babies, he’ll make that clear. If he’s not so into the idea, then he’ll you know as well, but more often than not, you’re going to find out that he’s looking to date sugar babies like you. You can broach the topic to a potential sugar daddy as well, asking him if he’d be down to date sugar babies. Sometimes it’s hard to bring it up organically in conversation, so if you want to get down to business and find out, then just ask! It’s not a weird question, and is most certainly a necessary one if you’re talking to someone that you want to make your sugar daddy. Bring it up by asking him his thoughts on sugar babies, and if he’s ever dated sugar babies before. He’ll probably say that he has thought about it, but whether or not you’d be his first sugar baby is up in the air. Start the conversation to find out if he’d date sugar babies and go from there! Find out where to meet a sugar daddy, and then read up on how to get ready for your sugar baby first date!